The Doubting Thomas "A Journey in Scientific Spirituality" (I WANT TO BELIEVE): "AMERICAN TERRORISTS"
Hillary, Bill, Al, Harry, Nancy, Teddy, Obama .... 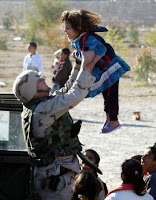 PLEASE stop this abuse of Iraqi children......... IMPEACH "W" if you must....AND stop this ABUSE....you know how you love Cheney! 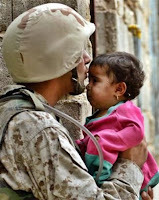 PROOF....of abuse by our Troops . . . . Not. 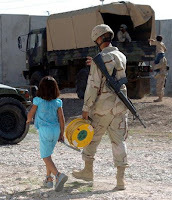 GI Falls Asleep On Duty While Using Iraqi Child As Body Armor! More Evidence Of Failed US Intelligence Policy. 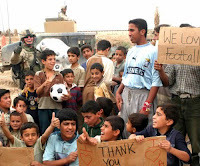 Iraqis Grateful That American Forces Did Not Open Fire During Soccer Game! Soldier Caught At 'Tickle-Torture' To Extract Intelligence! No comment here. ? There's nothing funny about this one. ?